We want to keep an eye on our homes, especially when we can't be in them. We want to keep an eye on our homes, especially when we can't be in them. But that can be a tall order when there are a lot of angles to cover. Logitech has made that task a little easier with this Circle 2 three-camera bundle. Two are totally wire-free, while the third requires AC power. 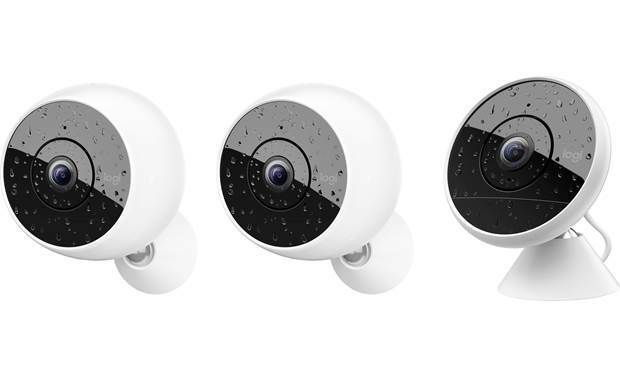 All three are weatherproof and connect to your network wirelessly. The battery-powered and wired versions of Logitech's Circle 2 camera both mount easily, indoors or out. 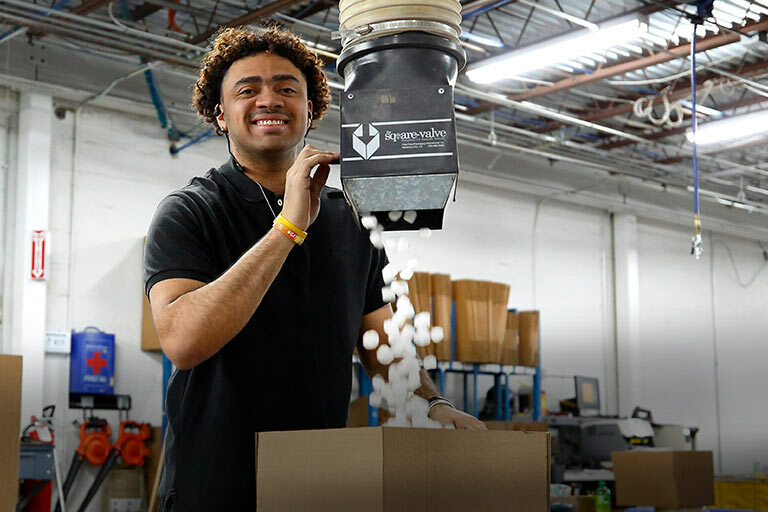 Two of the cameras have rechargeable batteries and the third comes with a generous 10-foot power cord, so you can locate each one to take best advantage of the extra-wide 180-degree field of view. If you spot the dog counter-surfing, just give a shout using the two-way talk button built into the free Logi Circle mobile app. It puts you in control from anywhere, using your phone or tablet. 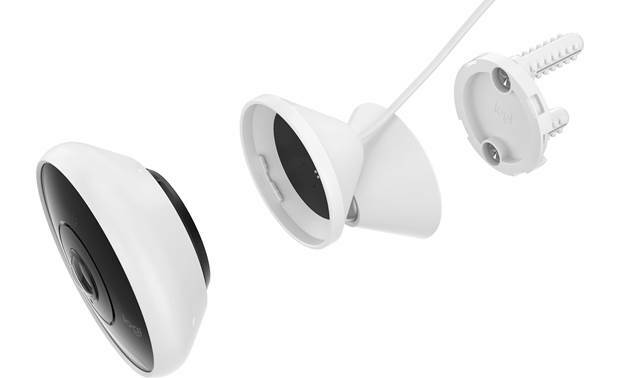 These Circle 2 cameras also give you clear footage in the dark, up to 15 feet away. The nifty day brief feature shows you a time-lapse recap of the day's events. Or, you can use the event filtering menu to quickly find and play the clips you want to see. All your footage is stored securely with instant data encryption and secure web transfer. You get free access to the past 24 hours of video; additional storage options available with monthly subscriptions. 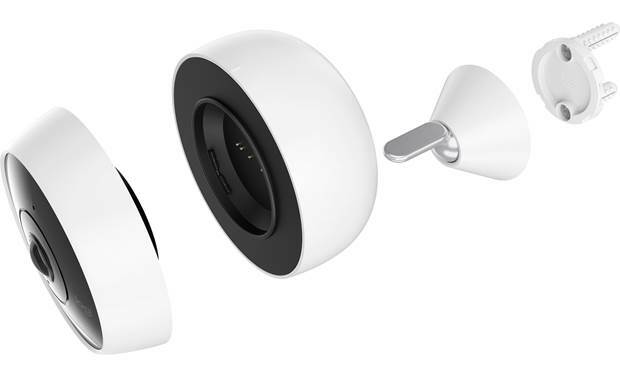 Apple HomeKit is compatible with the wired camera included in this bundle, but the wire-free cameras use a Wi-Fi power-saving mode, which isn't currently supported. Logitech and Apple are working together to explore support for battery-powered cameras in the future. 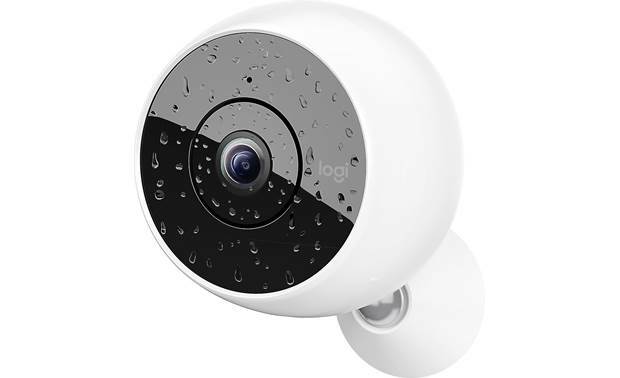 Multi-Pack Overview: This Logitech Circle 2 Multi-Pack contains two Circle 2 wire-free cameras and one Circle 2 wired camera. The Circle 2 is an indoor/outdoor security camera with an ultra wide-angle lens that captures more area than many other surveillance cameras. This small, lightweight camera can be mounted just about anywhere with the included swivel mounting base and wall bracket, or other optional mounting accessories. Circle 2 works on your home Wi-Fi network, and you can monitor your home from a web browser or mobile app. In addition, Circle 2 integrates with many of today's popular digital assistants from Apple, Amazon, and Google. 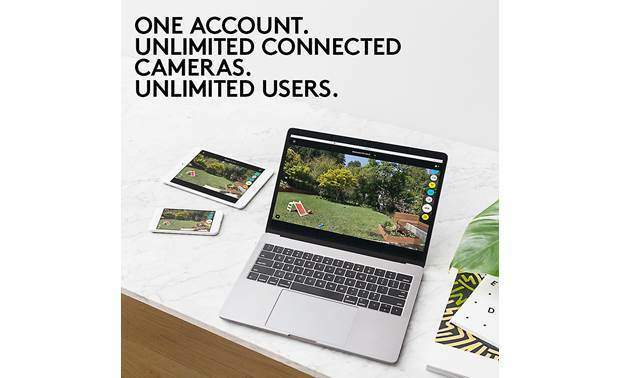 Circle 2 Cameras: The Circle 2 security cameras are equipped with a glass lens that provides an ultra-wide 180° field of view. The camera live-streams Full HD video up to 1080p. Built-in infrared LEDs give the camera night vision out to 15 feet. The camera includes a microphone and speaker, enabling two-way talk between your camera and your smartphone, tablet, or computer. Circle 2 is equipped with color-coded LEDs to indicate the current status of the camera: flashing blue (pairing), white (connected and ready), green (someone watching/viewing), yellow (privacy mode), and red (camera off, not recording/streaming). Power Requirements: The Circle 2 wire-free security camera operates on a 6400mAh rechargeable Lithium-ion battery. The battery attaches directly to the back of the camera. It charges via the supplied AC adapter and USB power cable. A fully charged battery can power the camera for up to 3 months. You can purchase spare rechargeable batteries to use as a backup. The Circle 2 wired camera is powered by a 10' USB power cable integrated into the swivel-mount base. The cable plugs into the supplied AC adapter. 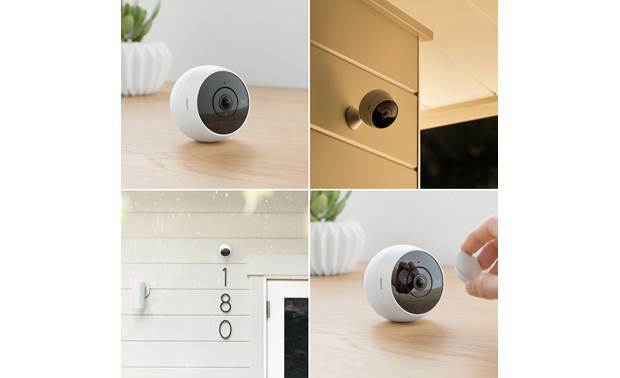 Apple HomeKit: You can integrate the Circle 2 wired camera from this bundle within the Apple HomeKit system and access your live view cameras (up to 2) in the Apple Home app on your iPhone, iPad, or Apple Watch. Interacting with Siri lets you use only your voice to open the app to view the live video stream. However, the included Circle 2 wire-free cameras use a Wi-Fi power-saving mode, which isn't currently supported by Apple HomeKit. Logitech and Apple are working closely together to explore support for cameras on power-saving mode in the future. Searches related to the Logitech Circle 2 Multi-Pack Three indoor/outdoor Wi-Fi® cameras (2 battery-powered, 1 wired).